This week, most major real estate boards released their statistics for the month of October, and Vancouver and Toronto were no different. Except the shocking fact was how different the two cities were faring with their red-hot real estate markets. The CBC published an article standing the two cities side by side, with the headline “Tale of Two Cities.” The article couldn’t be more accurate. 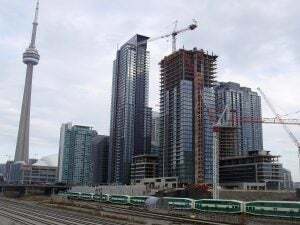 In the month of October, Toronto saw an increase of about 11%, while Vancouver saw a drop of about 39%. Vancouver and Toronto both have red-hot markets, but both are acting in different ways. Home sales in the Greater Vancouver area plummeted by close to 40% over October 2015. That fact alone is shocking when compared to the city earlier in 2016, when sales were rising with a fury. Some would argue that they were rising out of control. The introduction of the foreign-buyers’ tax in Vancouver seems to be one reason for the slow-down; however, David Madani, a senior Canadian economist, says that the real question will be how the new mortgage rules introduced on October 17 will really hit the two markets. Benjamin Tal, chief economist at CIBC World Markets, says that it’s more than just the new tax and mortgage rules. Some people can’t afford to buy in Vancouver, especially first-time buyers, which has left a hole in the market, while others are playing the “wait and see” game. Victoria real estate: What about us? As for us here in Victoria, we remained steady , despite the lack of inventory in our Victoria real estate market. Sales were even to last October, including condo sales. The average price for a condo also increased. However, we are expecting to see a shore-up of first-time buyers here in our city, too, due to the new mortgage rules. Mike Janes, realtor with The Condo Group, already has one first-time buyer who is simply done with her search. The new mortgage rules , qualifying at the posted five-year rate instead of the best five-year rate, have made the decision for her: she doesn’t qualify. The government’s decision to apply the “stress-test” to applicants up-front is all well and good, but the people who truly need the financing, like first-time buyers, will be the ones hardest hit by the rules. Do you have questions regarding the future of the Victoria real estate market? Are you ready to buy or sell your property? Send us an email at info@thecondogroup.com or call us at 250-382-6636.